It was a pleasure meeting the Martinez family. These guys are so respectful and so down to earth. Steve & Cris Martinez are amizing and talented, & two of the greatest guys I have ever met. Thank you and again it was an honer meeting you. I welcome you to my home anytime & keep up the great work. Last edited by djmariog : 11-06-2009 at 05:44 AM. I've heard the Martinez Brothers play a couple of times and they are amazing. There knowledge of music is amazingly widespread. One minute you could be pumping your fist to a fresh banging house track and the next, your singing along to disco classics. Extremely creative and a joy to watch behind decks. Mario, any thought of doing a GSA-ISO4001, that being a 4 way unit? 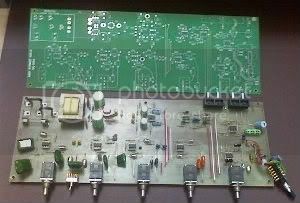 The next project is to go back to the GSA-Q5001 5 BAND EQ. We put that on hold for some time now. We had to focus on the ISO3001. Gary has been very busy with a huge install in Costa Rica I will post some pics soon. I Got a Chance to go play with the GSA-ISO3001 Last week. Awesome, A+ Mario and Gary really put there time into designing a Great unit! The Sound and Function is Smooth and Proper! Tonight They had a unit at the Baseline Party in NYC. The club has 100 TAD drivers in it! Boy was Hex Hector and David Morales Workin the system with the GSA-ISO3001!!! 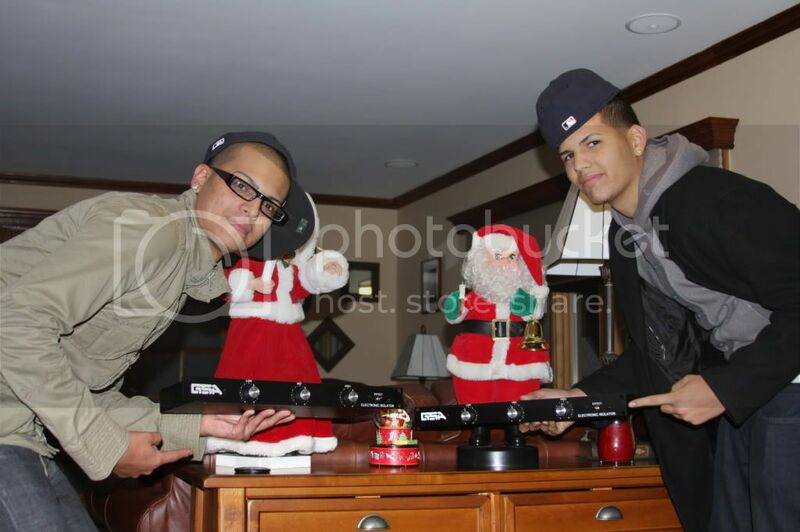 I cant wait for Santa to bring me my unit!!!!! Agreed 100%! Mario was kind enough to have me over and show me some really great things: Rare vintage gear, mixers, etc. But the primary reason I went over was to check out the new GSA ISO. Very smooth and proper indeed. Sound is crystal clear. Bass, mids, and highs are very well articulated. And at only 6.5" deep, perfect for any mobile DJ like myself. He was very kind to let me take one home to demo on my system. I will post pics soon, have to hook it up tonight; I can't wait! Thanks again Mario. The unit looks good Mario..Is there any chance the isolator can be available for shipping before Dec.24..? I have a space in the rack already waiting for one! Ask Gary to post some pictures on his site when he's finished with the Costa Rica install. Never mind that, have Gary post pictures of the Costa Rica install HERE. I will get the pics from Gary and post. When are you going to stop by and check out the ISOLATOR ? Hey Mario the unit looks great, any plans for an efx unit ? The GSA ISO3001 ISOLATOR was used @ the BASSLINE party on Thousday @ Santos Party House. Gary had called John Davis and asked if they would use it & he said sure, another great guy and only a few blocks from me. I will post full comments from HEX HECTOR & DAVID MORALAS & pictures soon. Big thanks to John David , Hex Hector , David Moralas. I am getting many emails just to answer a few questions i will post here also. Put your order in as the first run will go quick. I am certain you will be pleased with it. Expediting the 50 sets of metal. Plan to get all of this completed in December (prior to the 19th). The Unit is perfect on my analyzer. 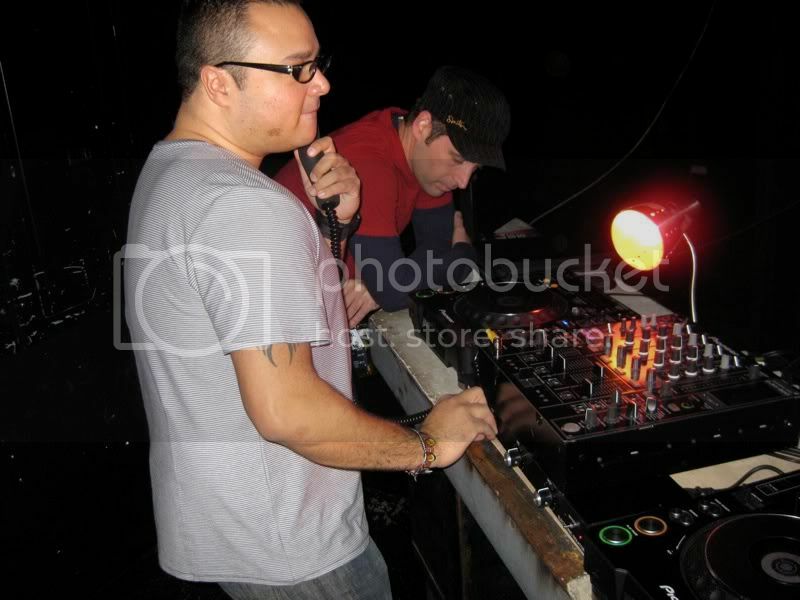 Here is a photo of HEX HECTOR in the mix & on THE GSA ISO3001 @ SANTOS PARTY HOUSE. 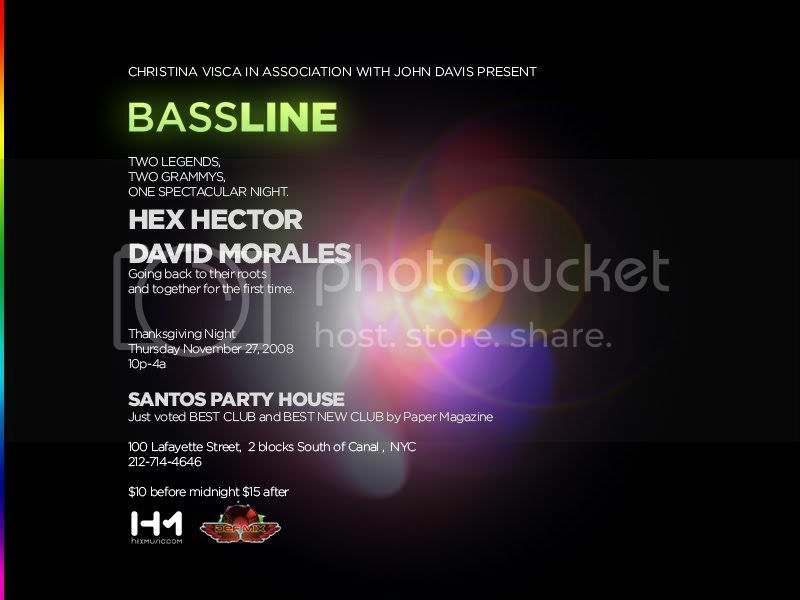 John David , Hex Hector , David Moralas. Great news travels fast! The pen is mightier than the sword! Last edited by Dj Greg G : 11-30-2008 at 01:29 PM. Mario any idea when the Q50001 is scheduled for release? And I still have to come bye and check out the GSA ISO! I called you but I guess the time I was available didn't work for you. You are welcome to stop by tonight if you like after 7pm. I'm back from vacation, consider this as my formal order for the GSA 3001 Isolator being placed. Look forward to hearing, using, and owning this piece! I am also running the next set of 50 which will be ready in 3 months. The first production run are just about all sold. The are made in AMERICA. The chassis is made in the same factory RLA did his and the RCA connectors are the same. I felt if the lasted Richard as long as they did, they would would last THE GSA ISO3001 just as long. I had many crossovers for repairs (X3000) & not one had an issue with the rca connector. I will send you a unit by the weekend & I would love to know your true feeling on it. Thats a date! Sounds like you have a winner on your hands, and I WANT TO HEAR IT on my system. And, I will listen to it through BOTH the Rane 2016A and the Urei 1620, I am doing alot of things this winter, and I also have a small project concerning making six small biased capacitor boards, encased in a housing thats mountable to the speaker cabinet, with in and out terminals for the speaker wire, for my midrange horns. I want you to fabricate and assemble them for me, two caps, a 9v baqttery, battery holder, terminals, and housing. Simple, economical and effective device that improves dynamics, soundstage, and clarity! The information comes from noneother than JBL,s CHIEF OF ENGINEERING himself, Mr. Greg Timbers, the man responsible for many of JBL,s famed studio monitor and TOTL consumer speakers. The info is also posted online at the Lansing Heritage website, guys have been doing " Charge Coupled " networks for their home JBL speakers for some time now. EVERYONE swears by it. Shout out to my boy DUCE. Great show. The brothers rocked it on the GSA. Yes, you probably should order one. Isolators can be very fun to use, and if well designed, do enhance sound, and at $895.00 is priced right! Mine will be in my hands this week, probably tomorrow, or Wedensday, and 5 minutes after that, IN MY SYSTEM, and I will run it, see what its all about. And, later in that evening, full report to follow! Mario took the time to figure out WHAT is the sound the unit needs to have, and is what the market wants, works properly, and priced within affordable reach!